Another superhero show with a black hero as the main protagonist, good stuff. Black Lighting is about a retired superhero who becomes a vigilante for justice. It is produced by CW and is based on the DC Comics by the same name. 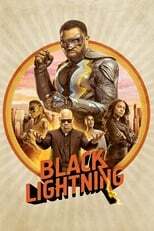 Where can you stream Black Lightning? On 2018-01-16 Action & Adventure/Sci-Fi & Fantasy TV Series Black Lightning first aired on The CW. Written and created by Salim Akil & Mara Brock Akil, and produced by Warner Bros. Television & Akil Production Company, Black Lightning will return and was last broadcasted on 2019-03-18.